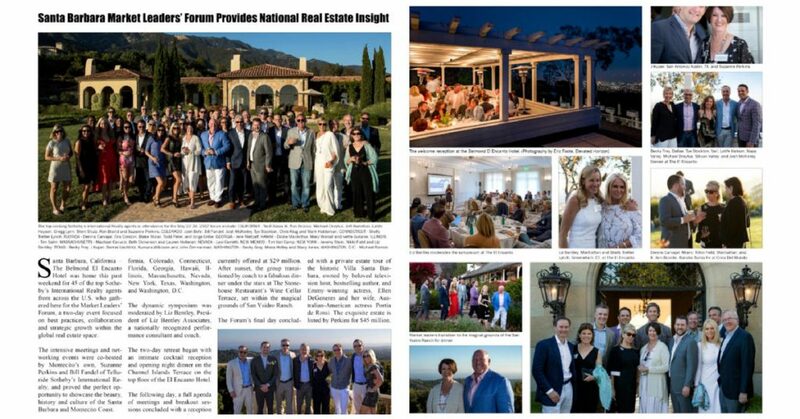 Bill Fandel of Telluride Sotheby’s International Realty and Suzanne Perkins of Sotheby’s International Realty in Santa Barbara recently co-hosted 45 of the top Sotheby’s International Realty agents from across the United States at The Belmond El Encanto Hotel. 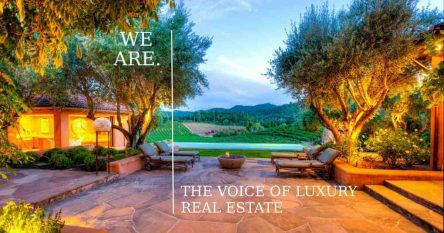 The goal of the two day event was for the group to share best practices, collaborate and strategize on how each market leader could help promote the groups luxury listings. The interactive meetings were moderated by Liz Bentley, a nationally recognized performance consultant and coach from New York City. The dynamic event and networking opportunites resulted in attendees commiting to dedicating a page on their websites to each market leaders listings. 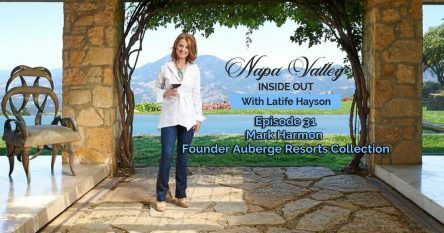 This is a huge coup for sellers listing their properties with these illustrious real estate professionals. Attendees represented luxury markets throughout California, Colorado, Connecticut, Florida, Georgia, Hawaii, Illinois, Massachusetts, Nevada, New York, Texas, Washington, and Washington, D.C.